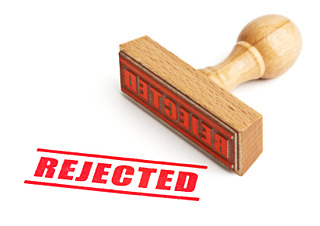 Anyone who has had a time-sensitive corporate filing rejected knows how frustrating it can be, especially if the reason for rejection is one that could have been prevented. Being aware of these common issues will save you time and frustration. Below are the top ten mistakes filers often make. Make sure you check name availability before submitting your corporate filings, to ensure the name on the document is available. Someone from the company or another agent has reserved the name. As with checking name availability, checking name reservations on file before submitting your corporate filings will ensure this is not an issue. For qualification filings, the Good Standing Certificate is from the wrong state. When filing a qualification, the Good Standing Certificate must be from the state of formation. For example, if the entity was incorporated in the state of Delaware, the Good Standing Certificate submitted with the qualification filing must be from Delaware. The signature does not show the correct title of the person signing the document. It is important to review the state signature requirements when preparing your filings! For example, a filing for a limited liability company will be rejected if it is signed by a “Secretary” or “General Counsel.” It must be signed by a member, manager or authorized person. COGENCY GLOBAL INC.'s blog posting, “Signature Requirements for Qualification Filings,” can help you, if you are wondering whether the signature must be an original or if a scanned signature is acceptable. The qualification document indicates the entity has been doing business in the state prior to the date of qualification. When the entity has been conducting business in a state prior to the date of qualification, there may be penalties assessed in that state at the time of filing. For example, Connecticut and Florida both charge a penalty fee and you will need to call the state to determine the amount. Georgia will normally charge a $500 flat penalty, while Maryland charges a flat $200 penalty. New York is a bit unique in that they require a tax clearance from the Department of Taxation attached to the qualification. To avoid rejection, it is important to make sure any penalties are paid at the time of filing. Some states have very unique requirements that are often overlooked. Not all forms are created equal! For example, Pennsylvania requires a Docketing Statement while in Connecticut, when forming or qualifying a limited partnership, the word “LP” must be spelled out as “Limited Partnership.” Some states require the signature of the registered agent and some states require the registered agent number. There are also states that require a separate registered agent “Acceptance of Agent” document. The filing copy is not legible. If you have concerns about the legibility of a document, consider scanning a copy to yourself to review. What you see is what the filing officer will see. All information must be completely legible since most filing offices scan or microfilm filings. The check amount to the state is made payable to the wrong corporate division. It would seem that one division should be able to easily transfer a check to another division but, unfortunately, this is not the case. It is important that the check be made payable to the division to which the filing will be sent. Again, the state filing requirements should provide this information. The stock amount indicated on the home state supporting documents does not match what is indicated on the qualification document. When completing the qualification form, make sure you check the documents from the state of formation. The information about the amount of stock must match. If there is a discrepancy, the document may be rejected. Not all of the articles in the document were completed as required by the state. Once again, it is extremely important that the requirements for the state you are filing in be reviewed carefully. Leaving out or not correctly completing certain required articles can result in your filing being rejected. For example, listing the entity’s formation date as “December 2011” instead of “December 12, 2011” can result in rejection. By reviewing state filing requirements carefully to confirm which documents and information are required, doing a little bit of homework regarding name availability and placing yourself in the role of the filing officer, you’ll be in an excellent position to catch any issues before submission. This will help minimize rejections and save you time in correcting them. Happy Filing!